Traditional shag-haired woolen rugs are still washed in the mandania, which can be found at the site with the same name, approximately 3.5km off the main road. 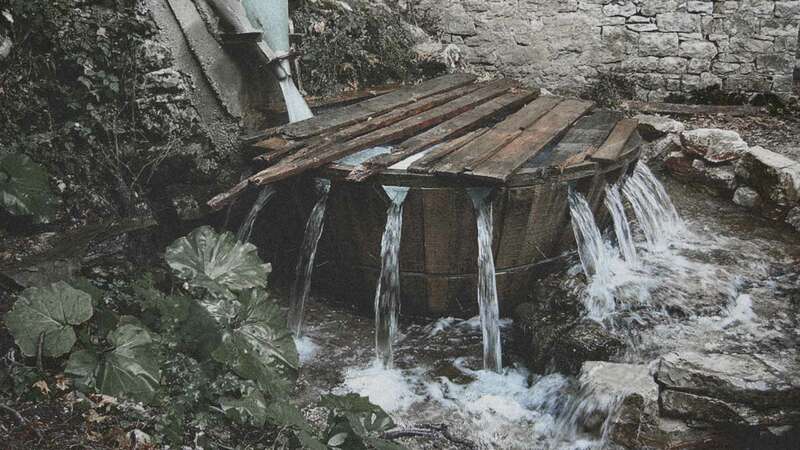 The mandania operate as follows: the flowing water turns the “fteroti” (windmill), which sets in motion the “kopania”. These are heavy wooden hammers that beat rhythmically on the woolen rugs, tightening the knots and threads and making the fabric more resistant. The mandania are of particular interest, as a structure operating with an environmentally sound process that is becoming scarce nowadays.